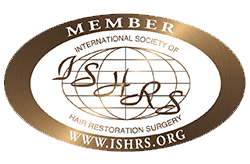 Hair loss is a cause of concern for millions of people all over the world, however, what is more disturbing is the fact that there are so many myths associated with the hair loss. Understanding the facts is step one to a proper diagnosis and the eventual proper treatment. 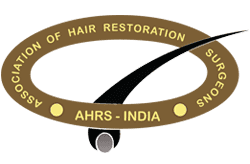 Hair loss can be caused due to several reasons and they can actually be categorised into medical related, gender related and even lifestyle related. Similarly, even the myths associated with hair loss can be categorised in the same manner. In this article and the next one, we will take a look at the some of the common myths and debunk the same. 1. Myth: The genetic reason for hair loss will come from your father’s side of the family. Fact: You can inherit hair loss from your either side of the family. As a matter of fact, there have been studies that have shown that if your maternal uncles were bald, you too might become bald or have pattern baldness. 2. Myth: If you are losing large amounts of hair, you have what would be called genetic baldness. Fact: If you are losing large amounts of hair, you need to see a doctor immediately, because there is something wrong with your body or scalp. Balding is actually a process, wherein the density of the hair is lost over a course of time. A process called miniaturization takes place, in which thick hair are replaced by thin or fine hair. 3. Myth: Only men suffer from hair loss due to genetic reasons. Fact: Although it is considered that balding is a problem that is associated with men, there is no saying that women cannot be affected by the same. Studies have shown that 40% of the total woman population in the world suffers from female pattern hair loss. 4. Myth: If you are using a hair loss medication, it will work only on the crown area. Fact: The idea behind hair loss medications is that it helps slow down or even stop the loss of hair. Minoxidil and Propecia will not help regrow new hair, but it can certainly help you in maintaining the hair that you already have. This means, that wherever you still have hair on your scalp, these medicines will help retain them, whether they are on the crown or back of the head. These medicines will work, wherever there is thinning, but certainly not on completely bald patches. 5. Myth: Medications like Minoxidil, Propecia can prevent hair loss. 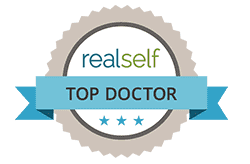 Fact: Medications such as Minoxidil, Propecia can certainly help reduce or even stop hair loss altogether, but it can definitely not assist regrowth of hair. Ideally, such medicines will work better with younger people, because in them, hair loss would have just started. However, these medicines are also often prescribed to people who have recently undergone hair restoration procedures. 6. Myth: Hair loss will stop with age. Fact: If you are suffering from hair loss, you should be prepared to live with it for the rest of your life. Hair loss progresses slowly and grade of baldness increases over a period of time. 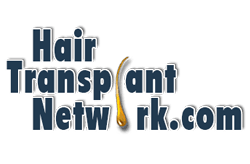 There is no method by which hair loss can be charted out, but yes, if your hair loss has started at a young age, chances are that you will eventually go completely bald. 7. Myth: If you are going bald, that means you are old! Fact: Hair loss or going bald has nothing to do with age. The fact is that hair loss can start in the early twenties and as age progresses, it will become more profound. Then there are also cases, such as alopecia totalis or alopecia universalis, wherein complete hair loss can happen even in children. And in some cases, the hair loss starts quite late in life. 8. Myth: Hair loss due to chemotherapy is always permanent. Fact: Well, people think that anyone undergoing chemotherapy for cancer treatment will remain bald forever. In most cases, even sessions of chemotherapy or radiation, hair does grows back over a period of time. 9. Myth: Men with high levels of testosterone will go bald. 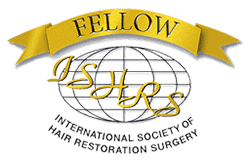 Fact: Hair loss is not directly connected with testosterone – the most latent cause of hair loss is the enhanced sensitivity of the hair follicles. This sensitivity is directed towards dihydrotestosterone or DHT and not testosterone. It is the sensitivity to DHT that lead to the hair follicles shrinkage and the gradual disappearance of hair. There is an even simpler method of debunking this myth – if high levels of testosterone were to be blamed, men would lose hair from all over the body, not just their head. 10. Myth: Women can never go bald. Fact: Although the cases of women going completely bald are lesser as compared to men, there is no truth to the fact that they are immune to balding. Women suffer from what is known as female pattern hair loss and if the condition is not diagnosed in time, it could lead to near or even complete baldness. In this article, we have looked at the most commonly talked about hair loss myths, related to medical causes. In the next article we will be looking at the gender and lifestyle related myths that are often associated with hair loss.